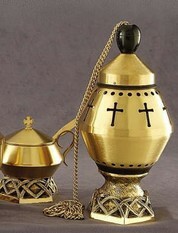 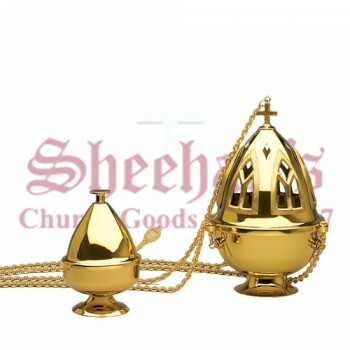 A censer or thurible is a type of ceremonial vessel used for burning incense during a worship service. 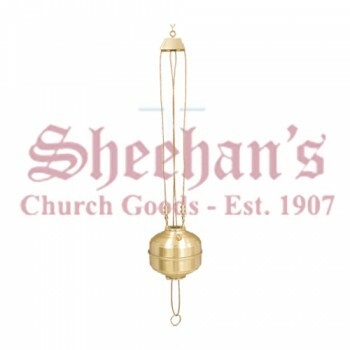 it is typically hung from a chain that allows it to be swung, distributing smoke amongst the crowd as the clergy member walks. 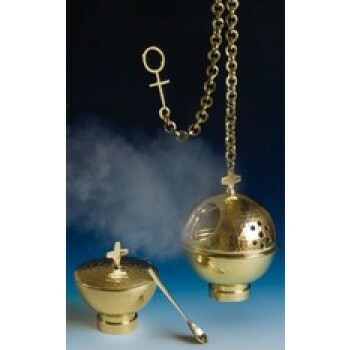 The thurible and boat are used during Mass, Divine Office or Benediction of the Blessed Sacrament. 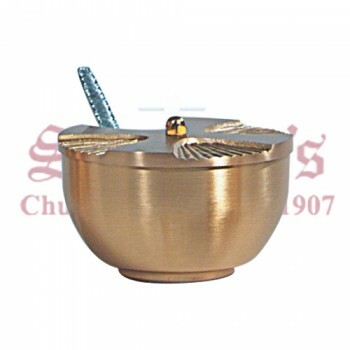 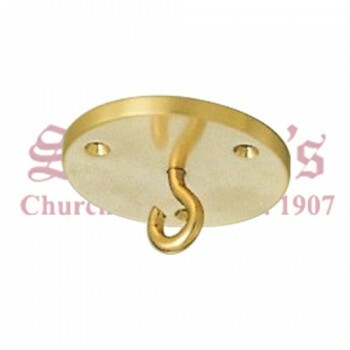 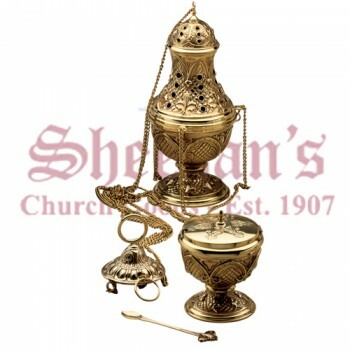 The incense burners are available in a variety of shapes, sizes and designs for use in any style of church. 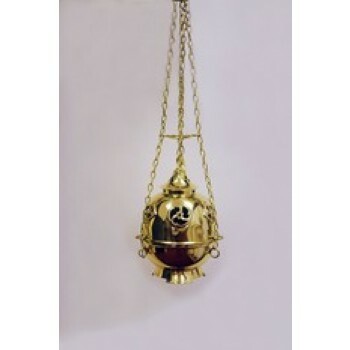 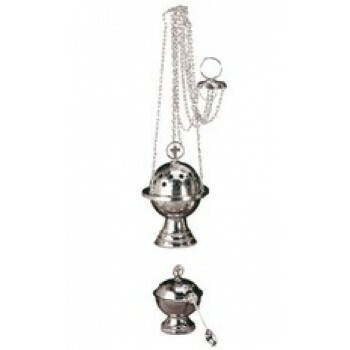 Thurible censers are sold with a matching chain, though more ornate models may feature a multi-stranded chain. 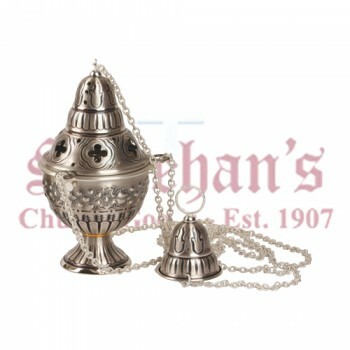 In order to produce the sweet smelling smoke, the thurible censer is loaded with a combination of hot charcoal and sweet incense. 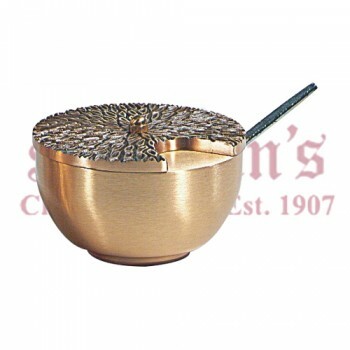 Most vessels have a mobile lid, which may be raised as needed. 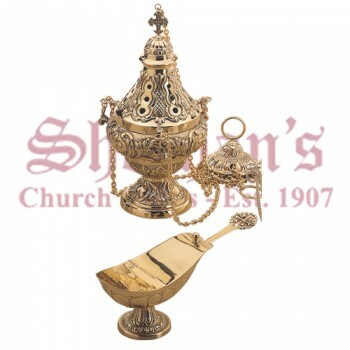 A matching boat or spoon may accompany the thurible to assist with the filling of the vessel and distribution of incense during the service. 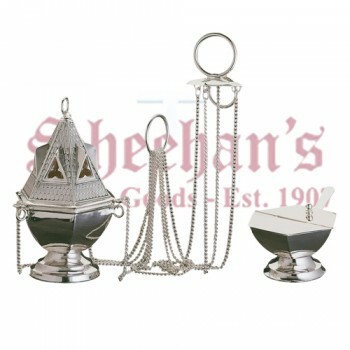 Matching thurible and boat sets are available for convenience. 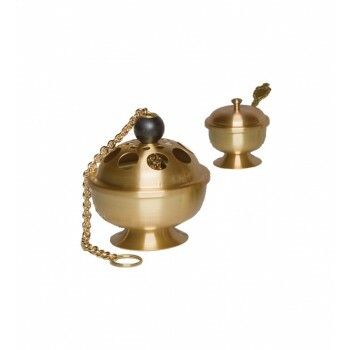 Censers are available in a range of styles and finishes. 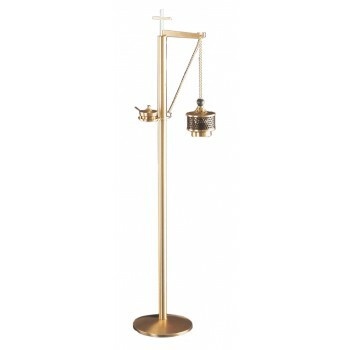 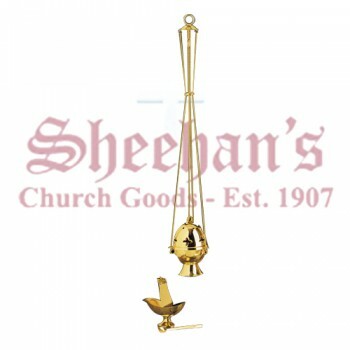 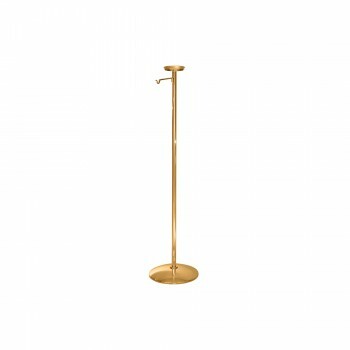 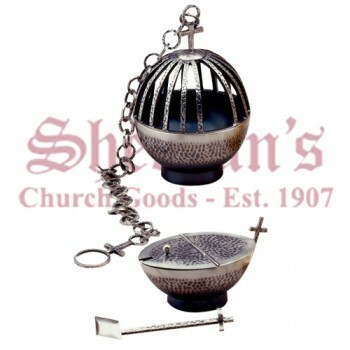 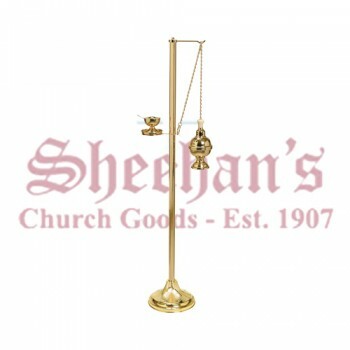 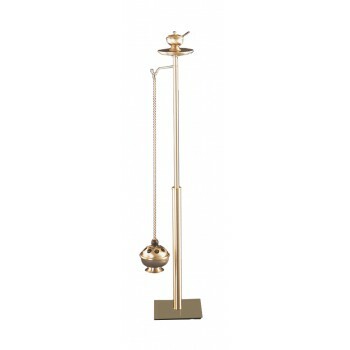 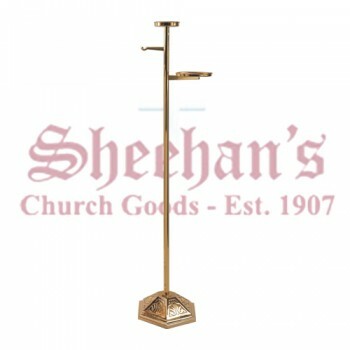 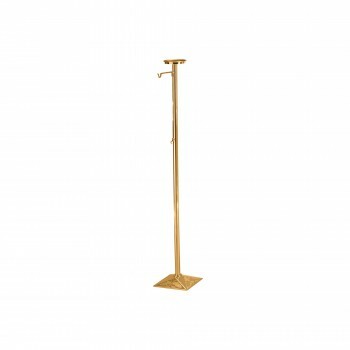 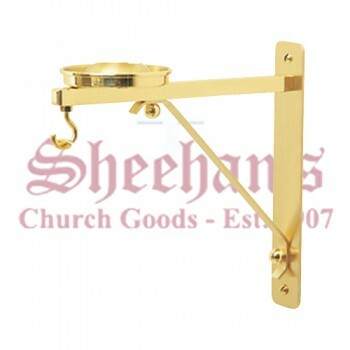 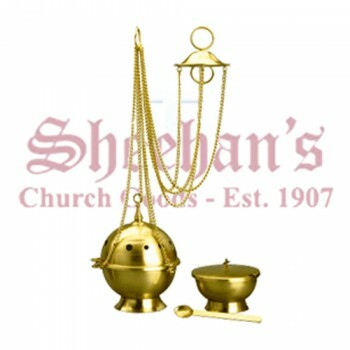 Choose a simple polished brash thurible for regular use or to accent a modern church. 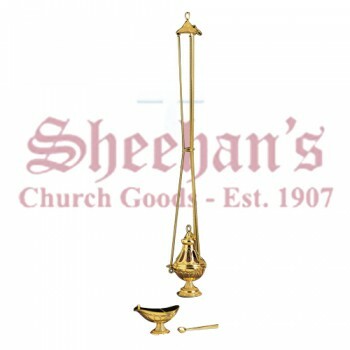 Opt for a more ornate piece for special occasions or for use in highly ornamented churches. 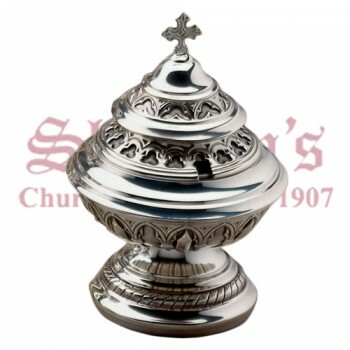 While censer styles may vary, their function and purpose remain the same. 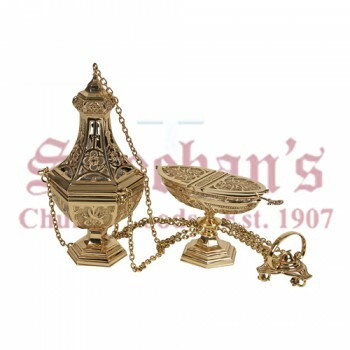 All censers operate in a similar manner and have a detachable or hinged top for accessing the body of the vessel to load with incense and coals. 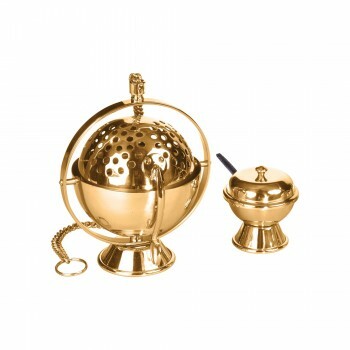 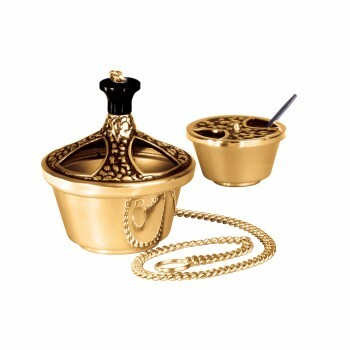 All designs include perforations along the lid to release the steam and all censers are meant to be hung from a chain. 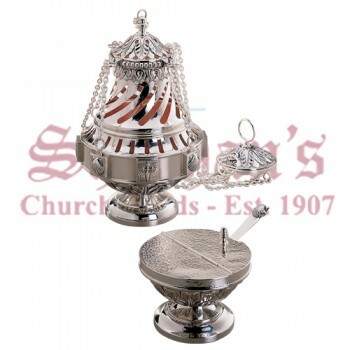 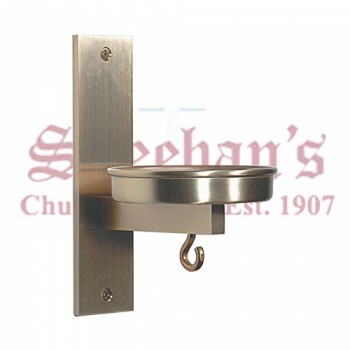 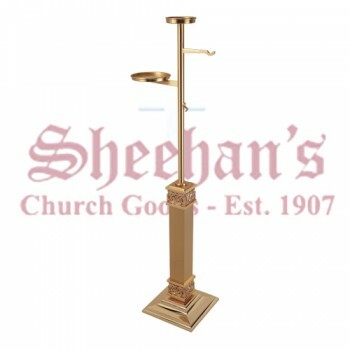 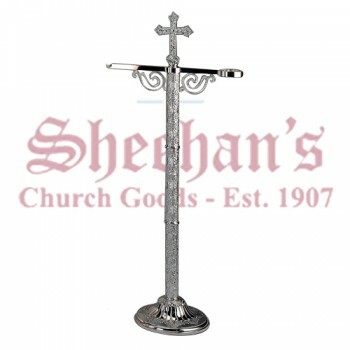 While all are similar in function and design, thuribles vary greatly in style. 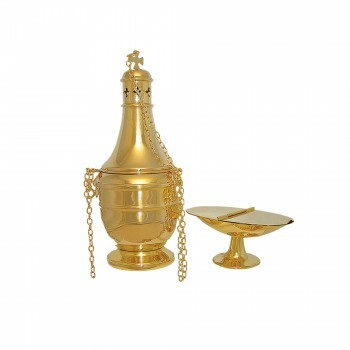 The wide range of styles available ensures that you will find the perfect censer to match your sanctuary's style and your budget. 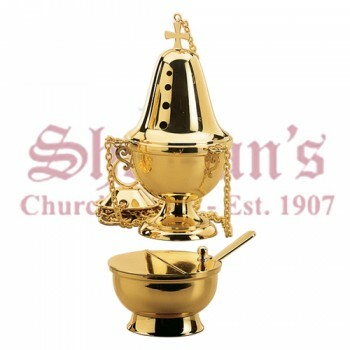 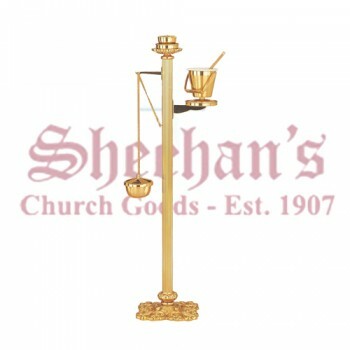 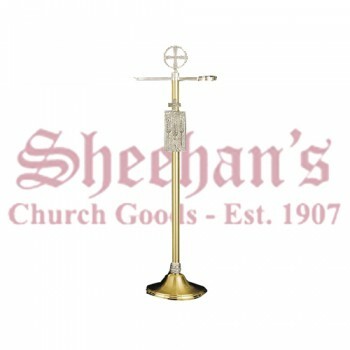 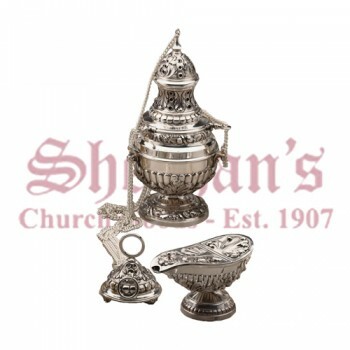 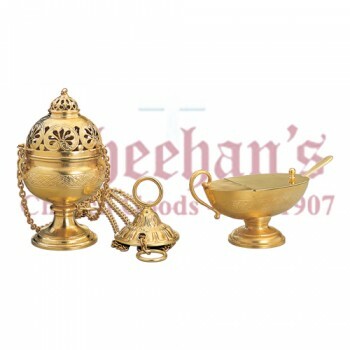 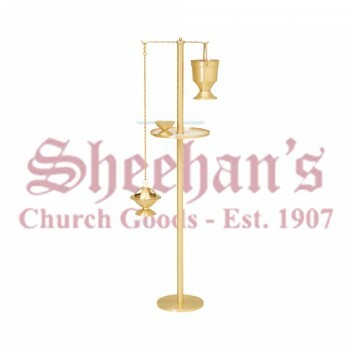 Shop with Matthew F. Sheehan for the best selection of beautiful censers and thuribles on the market. 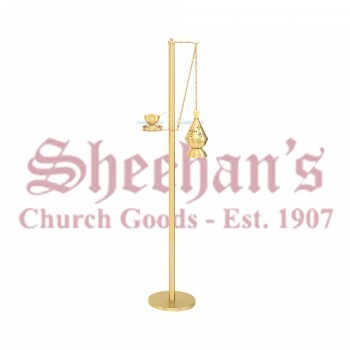 We have been in business for over 100 years and offer one of the largest, most complete collections of church goods on the internet. 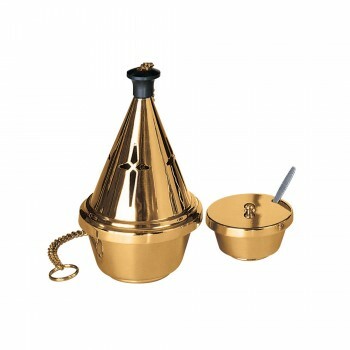 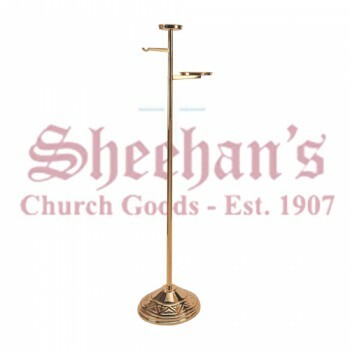 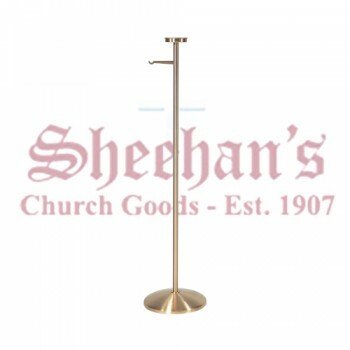 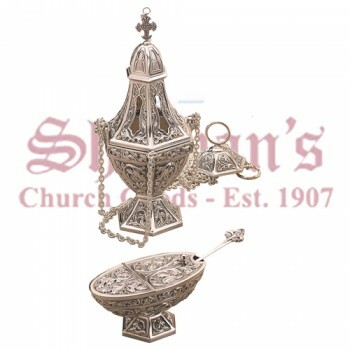 Browse our incredible selection today to find the perfect thurible censer for your church and enjoy the ease with which the incredible burning vessels transform your worship services.